Starland Vocal Band was an American pop band, known primarily for "Afternoon Delight", one of the biggest-selling singles in 1976. The group began as Fat City, a husband/wife duo of Bill Danoff and Taffy Nivert. Danoff and Nivert co-wrote the song "I Guess He'd Rather Be in Colorado" and then, with John Denver, "Take Me Home, Country Roads" which became a hit single in 1971. The duo recorded two albums as Fat City, and two more as Bill & Taffy, all released from 1969-1974. In the mid 70s, Starland Vocal Band was formed and subsequently signed to Denver's label Windsong Records. Starland Vocal Band was also composed of Jon Carroll (keyboards, vocals) and Margot Chapman (vocals). Carroll and Chapman were also married after meeting as members of the group, but later divorced. Their son Ben Carroll is also a musician. 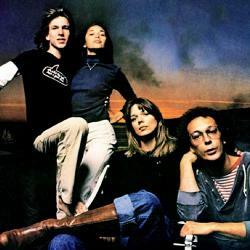 The group's debut album was the self-titled Starland Vocal Band and included "Afternoon Delight". The song was a #1 hit and the album also charted. The group was nominated for four Grammy Awards and won two�Best Arrangement for Voices and Best New Artist. The follow-up album Rear View Mirror was a failure in comparison, although it was a minor chart entry, spending 13 weeks on the Billboard 200 (reaching a peak of #104). In 2010 Billboard named "Afternoon Delight" the 20th sexiest song of all time. The band hosted a variety show, The Starland Vocal Band Show, that ran on CBS for six weeks in the summer of 1977. David Letterman was a writer and regular on the show, which also featured Mark Russell, Jeff Altman, and Proctor and Bergman. April Kelly was also a writer for the series. The band broke up in 1981, unable to match their previous success. Danoff and Nivert divorced shortly afterwards. Each of the band members went on to a solo career. In 1998 the Starland Vocal Band reunited for a few concerts, often featuring the children of the four original members as vocalists. In 2007, they appeared on a 1970s special on the New Jersey Network (NJN), singing "Afternoon Delight".